Visiting friends in Keren. The coffee ceremony with Nazret. 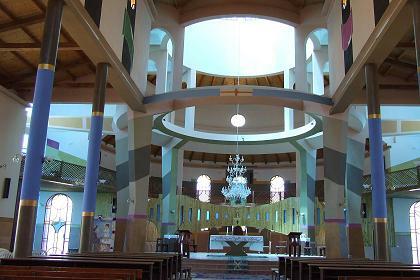 Visiting the beautiful modern interior of the very recently opened Catholic Cathedral in Keren. Nicest memory: I think I found the building that used to be the rest and retirement center of Kagnew Station. Some youngsters were enjoying egg sandwiches and tea at its compound. I joined them. One of them offered me a sandwich. "But I am a rich tourist", I complained. "You are our guest" he replied. 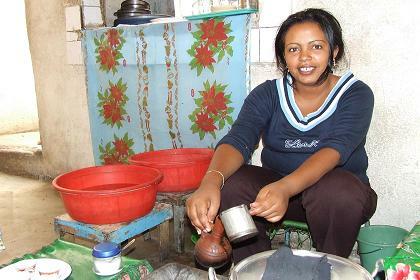 Nazret's coffee ceremony - Keren Eritrea. 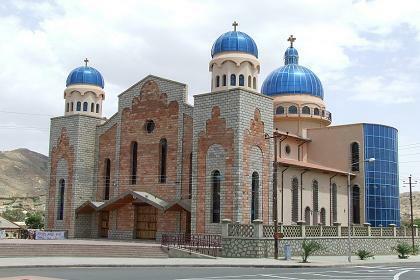 Catholic Cathedral - Keren Eritrea. 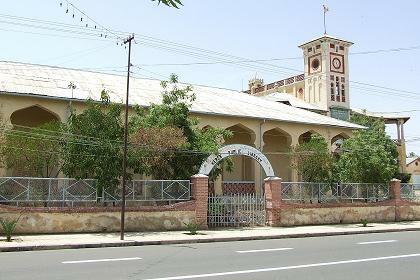 Monastery of the Catholic Cathedral - Keren Eritrea. 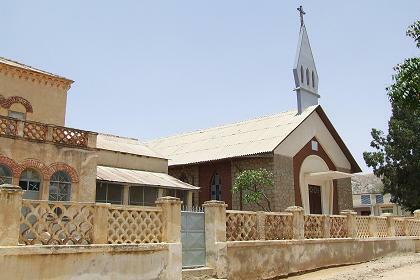 Evangelical Church - Keren Eritrea. 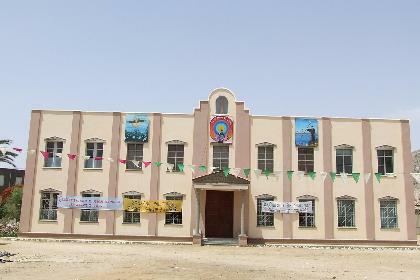 Private Library, former R & R center - Keren Eritrea. 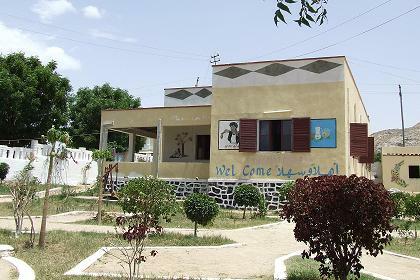 Central Hotel - Keren Eritrea. 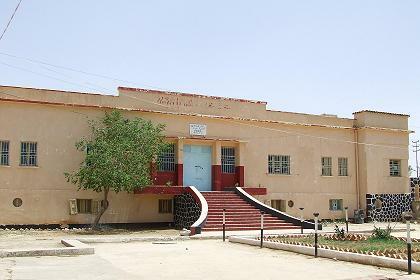 Public library & administration building - Keren Eritrea. 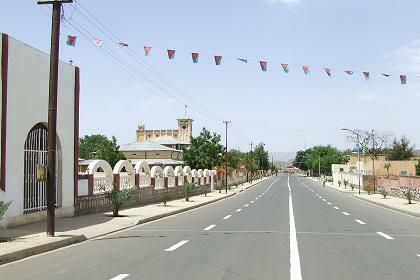 One of the main streets - Keren Eritrea. 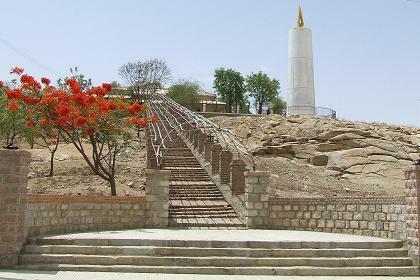 Monument for Eritrea's Martyrs - Keren Eritrea.